Movie review of “Certain Women”: This trio of stories has three introspective women at their center (Laura Dern, Michelle Williams, Lily Gladstone). Rating: 3-and-a-half stars out of 4. 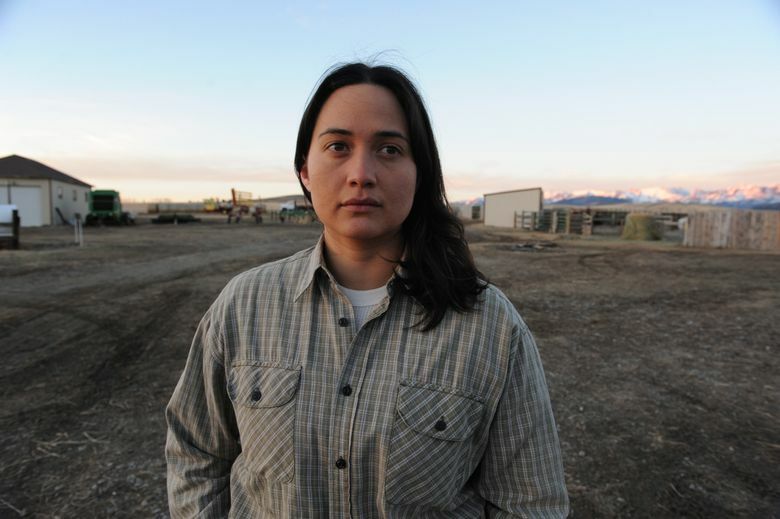 It’s easy to see that Kelly Reichart’s “Certain Women” is based on a trio of stories. It’s not so much a single narrative feature as three gently overlapping short subjects set in or near Livingston, Mont., each with an introspective woman at its center. A lawyer (Laura Dern) tries to help an unstable client (Jared Harris); a wife and mother (Michelle Williams) feels unmoored as she and her husband (James Le Gros) plan a dream home; a solitary ranch hand (Lily Gladstone) falls quietly and eloquently in love with a visitor (Kristen Stewart) to her small town. Except for a brief section at the end, the stories aren’t intercut, but play out uninterrupted. Those who prefer their movies with snappy dialogue and compelling forward action may find themselves adrift at “Certain Women” (like a few audience members I overheard upon exit); not much happens, and what does happen is often the unremarkable stuff of everyday life. (When’s the last time you saw a movie pause for a dog-owning character to run a lint roller over her skirt?) But Reichart, whose movies (“Old Joy,” “Wendy and Lucy,” “Night Moves”) explore the quiet places of the American Northwest, has a way of finding poetry in that stillness, and finding actresses who can speak volumes without words. Just look at Dern, as she gazes at Harris late in the film, with a look that seems to combine pity, anger and exasperation with the smallest hint of affection. Or Gladstone, who gives a performance of such glowing earnestness that it’s almost hard to watch her unnamed character, gazing at a stranger as if a treasure had suddenly been revealed to her. On this wintry landscape, with its endless plains and biting wind, it seems as if everyone — even the quietest — has a story, if you take the time to listen to it. ‘Certain Women,’ with Laura Dern, Jared Harris, Michelle Williams, James Le Gros, Sara Rodier, Rene Auberjonois, Lily Gladstone, Kristen Stewart. Written and directed by Kelly Reichart, based on short stories by Maile Meloy. 108 minutes. Rated R for some language. Egyptian.